In raising money, like many things in life, your success centers around your own credibility. Even if you have an awesome track record, do you know how to properly convey your credibility to others? Mark Hanf, President of Pacific Private Money shares his advice on how to prepare an effective credibility package….only on this FlipNerd.com Flip Tip show. Mike: Hey, it’s Mike Hambright from FlipNerd.com, and we have a quick VIP tip to share with you from Mark Hanf, Pacific Private Money, who is going to talk about how to build your credibility. So what’s in an effective credibility package for raising private money for your real estate business? Mark: So the key to getting people to invest in you is to first get them to know, like, and trust you, that’s key. No one’s going to invest their hard earned, hard saved retirement savings with you unless they know you, like you, and trust you. Now how do you do that? You do that through a credibility package, an effective credibility package. One that contains things like an executive summary of what your business model is. A biography which is not your resume, but it’s more of a marketing pitch on who are. It could be a little bit braggy, if you will. In fact, the best ones are. And also include your resume. Those are the things, the trainings you’ve had the courses you’ve taken. Now your experience you want to include that with effective before and after photographs. You also want to have a spreadsheet showing the properties that you’ve successfully flipped before. If you have experience, you absolutely want to leverage it. Now the key here in, my opinion, is to be as transparent with the information of your past experience as possible. 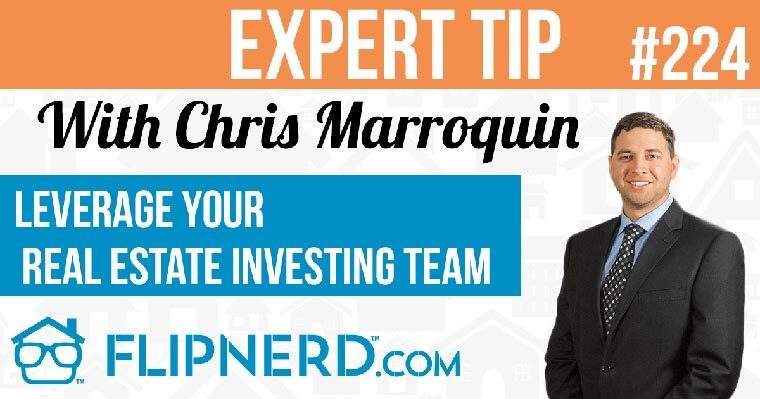 In fact, you may even want to put details in like the price you paid for the property, how much you’ve put in, the price you sold it for, the returns you were able to make on there. Again, be as authentic and transparent and provide as much information as possible. Don’t worry about things like, you know, proprietary information and all that. No one’s going to steal it from you. This is information you want to leverage. Other stuff that you want to include in there of course is a description of all your team members and leverage their experience. Now if you don’t have experience, obviously, you’re not going to have a spreadsheet of your previous flips or maybe before and after photos. But you have your team, leverage your team. You know, people with money understand that an effective entrepreneur knows how to leverage the skills of other people. So even if you don’t have experience you can still create an effective creditability package to get people to know, like, and trust you, and invest with you and you’ll be on your way to making millions in real estate.